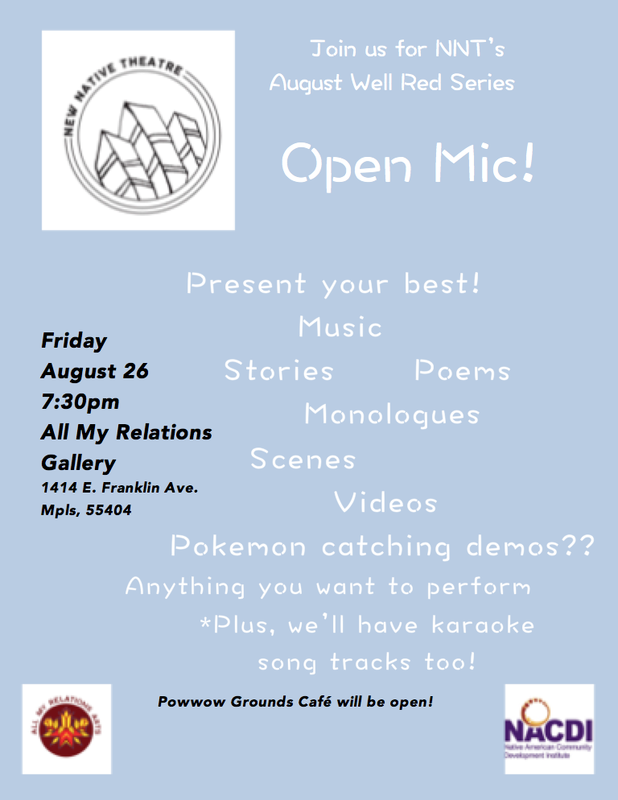 August 26 – 7:30pm – Open Mic! 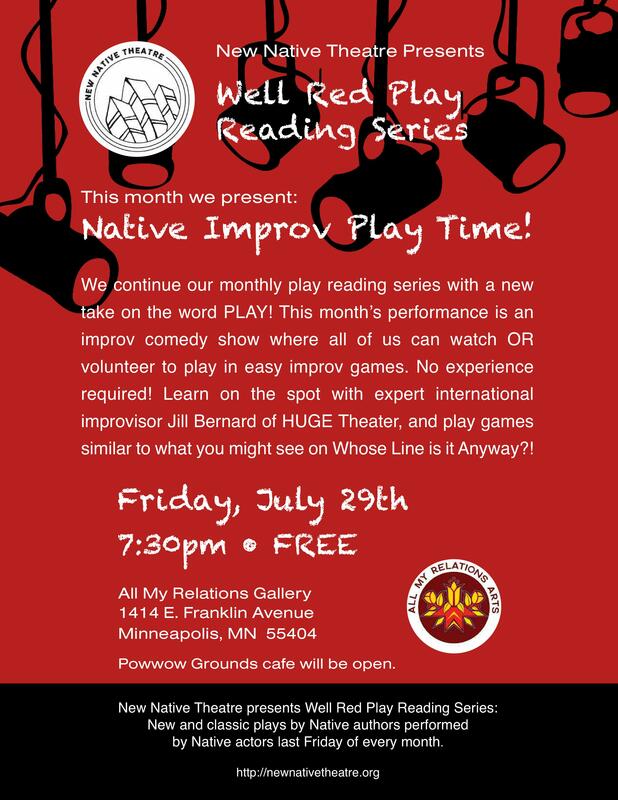 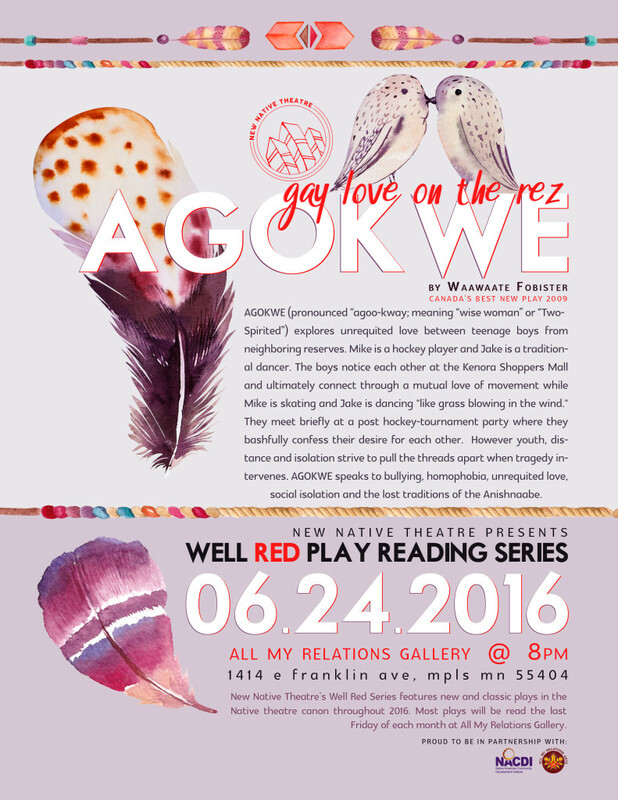 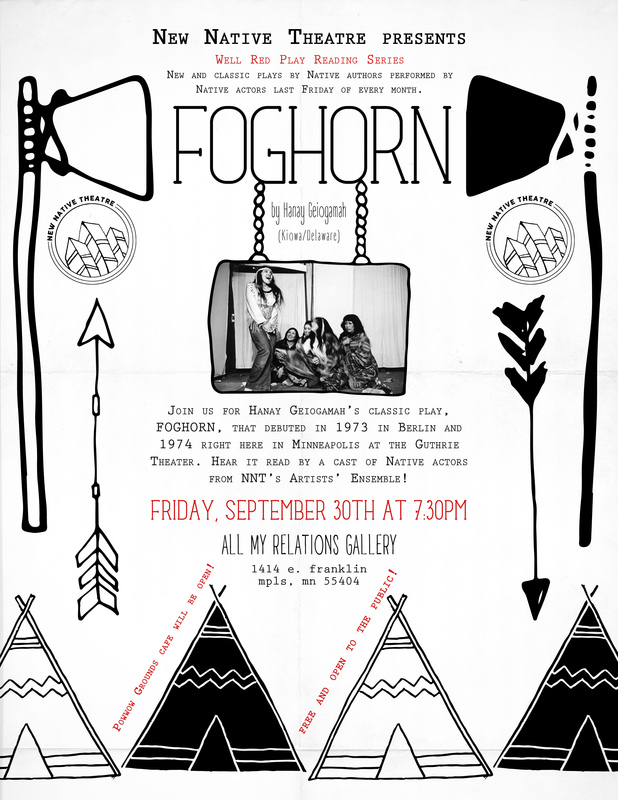 July 29 – 7:30pm – Native Play Time, Improv with Jill Bernard! 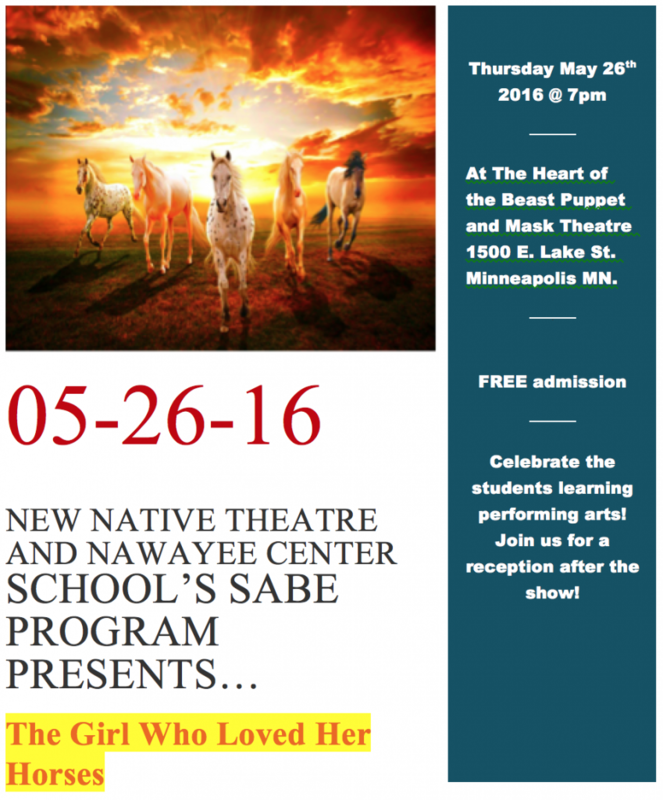 Not your typical play reading… over the course of the last semester, Nawayee Center School students turned this place into a film and live dance project. 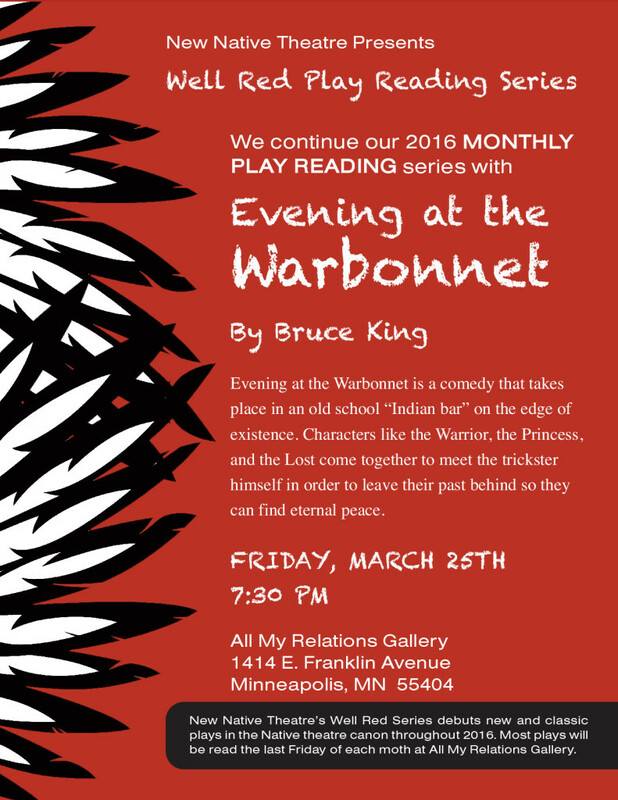 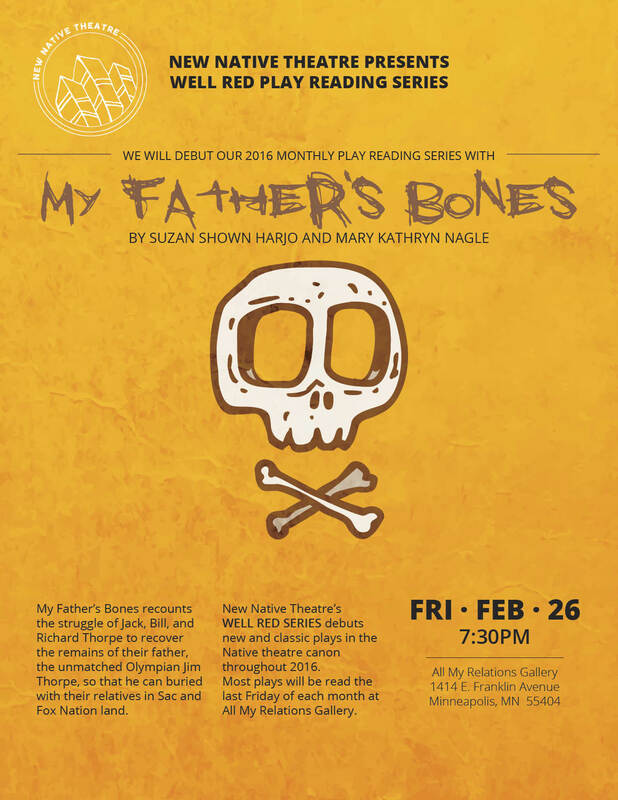 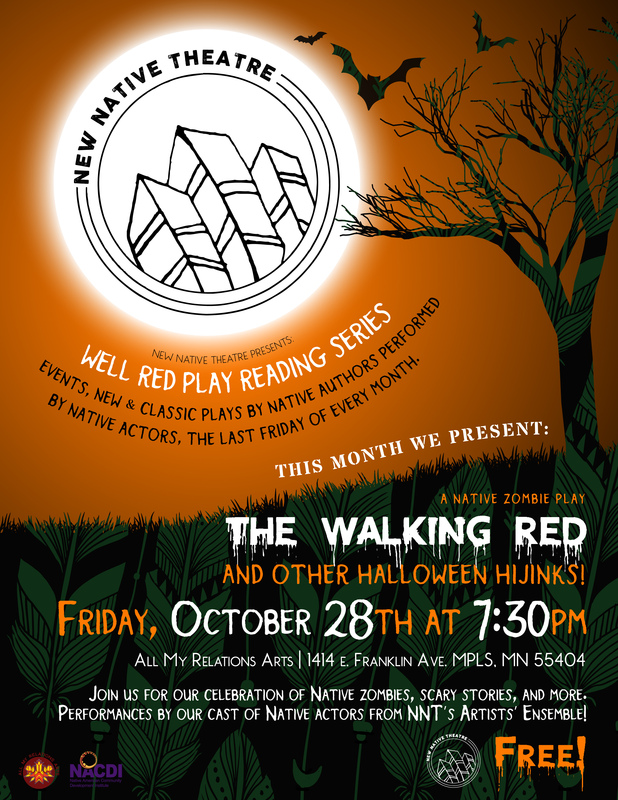 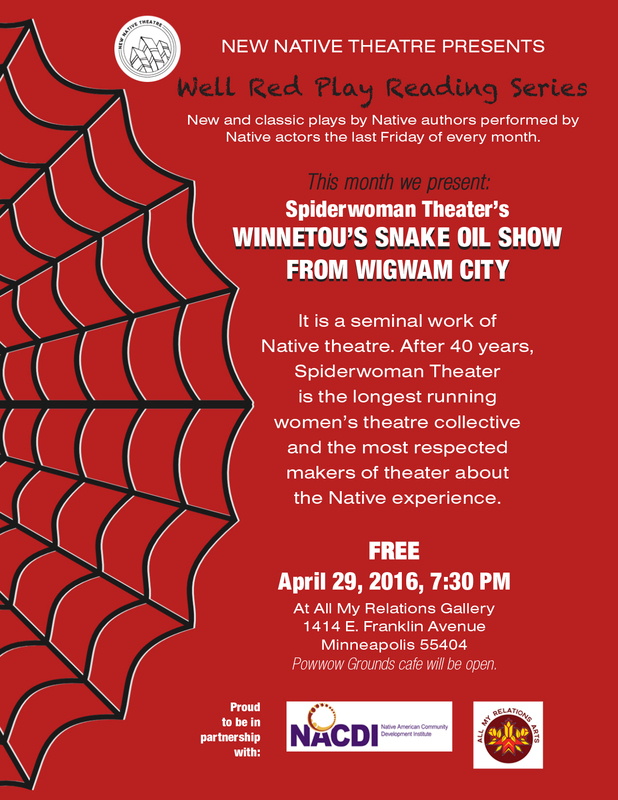 NNT’s Artists’ Ensemble will read Spider Woman Theater’s classic play.